“Cheap funeral”. It’s not a dirty word. Before we begin let’s clear something out of the way. How much money you spend on someone’s funeral has no relationship to how much you love them. If someone spends $20,000 on a funeral, it doesn’t mean that they love (and will forever miss) their loved one more than you if you arrange a cheap funeral for $1,500. To the contrary, we’ve received hundreds of emails from people who have said that they were under strict instructions from their loved one to spend as little on their funeral as possible. More disappointingly, we’ve also heard stories of individuals who, though they wanted to arrange a cheap funeral, were guilted by funeral directors into spending much more than they wanted to. Funeral directors for the most part do amazing and important work for our communities, but there will always be a few bad eggs. If you need to arrange a funeral soon, it’s worthwhile reading our guide on how to spot a bad funeral director. You should also check to see whether you’re eligible for any assistance with funeral costs. Additionally, while taking on debt to cover expenses can be risky, you might want to understand your options when it comes to funeral loans. Let’s take a look at some of the options you have when it comes to arranging a cheap funeral. While technically this isn’t a funeral, it is a cheap option for the body disposal component of a funeral. If it’s something you’re comfortable with, depending on the institution you choose to donate your body to there may be no costs at all. For example, the University of Sydney will bear all costs and even cover a simple burial or cremation. While the financial benefit of this option may be enticing, money isn’t everything. It’s important to think long and hard if you’re genuinely considering this option. Talk to your family and do your research. Often there are a number of eligibility requirements and restrictions on service options that you’ll need to get your head around first. For more information, see our Guide on How to Donate Your Body to Science. Also known as a “direct committal”, as the name suggests, this is a cremation which does not include any service or attendance. While it’s often possible to arrange a viewing prior to the cremation, there is very little fanfare involved in this option. For more information you can read our guide to cremations. Why would you choose a no service, no attendance cremation? People who choose this option are often cost conscious and may not have many friends or family remaining to attend a service. Sometimes people simply just prefer to make their exit from this world with as little fuss as possible. One thing to consider before committing to a no service, no attendance cremation is that it can leave family and friends without closure and a proper chance to say goodbye. While more expensive than a direct cremation, green funerals can be a cheaper alternative for families who would still like a burial. Compared to a traditional funeral, green funerals dispense with the need for a coffin (many states permit the use of a simple shroud), a headstone, and a grave liner or burial vault. Natural burial sites are often cheaper than traditional cemeteries as there is a much lower upkeep and maintenance cost. A memorial service is a service that takes place after the burial or cremation. They’re generally much cheaper to hold than a traditional funeral service and can be as simple as some food, drinks and speeches held at the family home several days after the cremation. Combining a memorial service with a no service, no attendance cremation is a cheap funeral option that is growing in popularity, and it’s easy to understand why. On the one hand, you get to arrange a cost-effective disposal of the body, but also have the chance to properly remember, celebrate and pay respect to the life of your loved one. 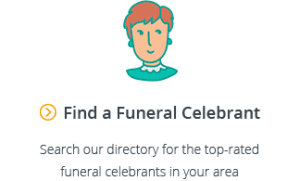 In each state, there are a number of not-for-profit funeral homes, such Bereavement Assistance Funerals in Victoria, Holy Cross Funerals in Queensland and Tender Funerals in NSW. 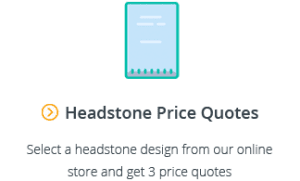 Not-for-profit funeral homes use profits to pay bills and building costs rather than shareholders, which means they can keep costs down and offer cheaper funerals. 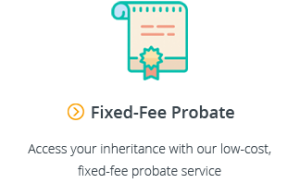 Not-for-profit funeral homes (and even some for-profit funeral directors) are able to work to the budgets of families and make price exceptions when they are needed. Speaking to Phillip Novella from Holy Cross Funerals, we were told that it wasn’t uncommon for them to arrange funerals – out of necessity – that were so cheap that they would lose money. They provide an important service in our community for those who may find it difficult to pay for a funeral. When it comes to cheap funerals, exactly how cheap is cheap? 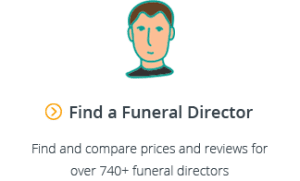 Analysing the indicative prices of over 600 funeral homes listed on our funeral comparison website, we’ve put together a list of the cheapest funerals in Sydney, Melbourne, Brisbane, Adelaide, and Perth. When you consider that the average cost of a burial is $19,000 and the average cost of a cremation is $7,420, arranging a funeral for under $2,000 is a significant saving and a sensible choice for a lot of Australian families. Cheap funerals are not a taboo topic. If you’ve been putting off discussing the funeral that you or your loved one want, change that today. You might be surprised by what you discover.